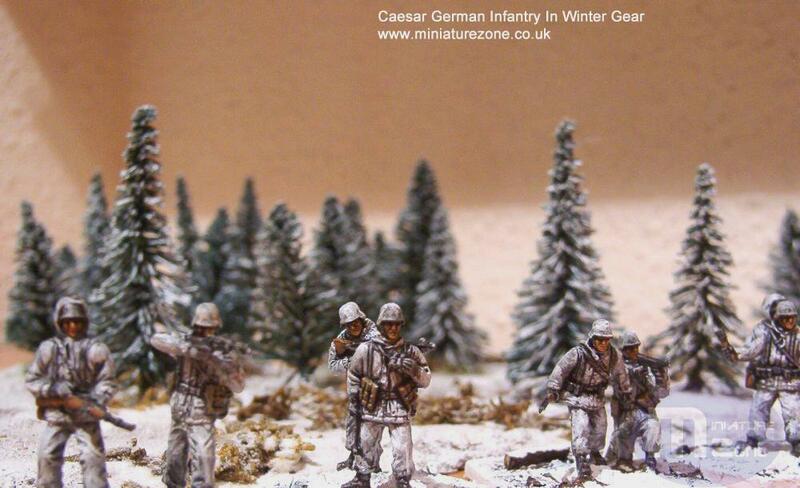 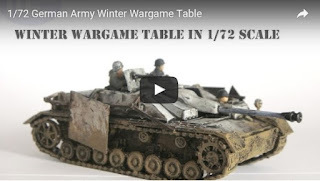 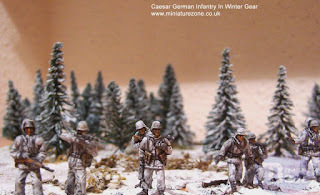 Some painted Caesar German infantry in Winter gear and whitewashed German tanks. Two King Tigers. 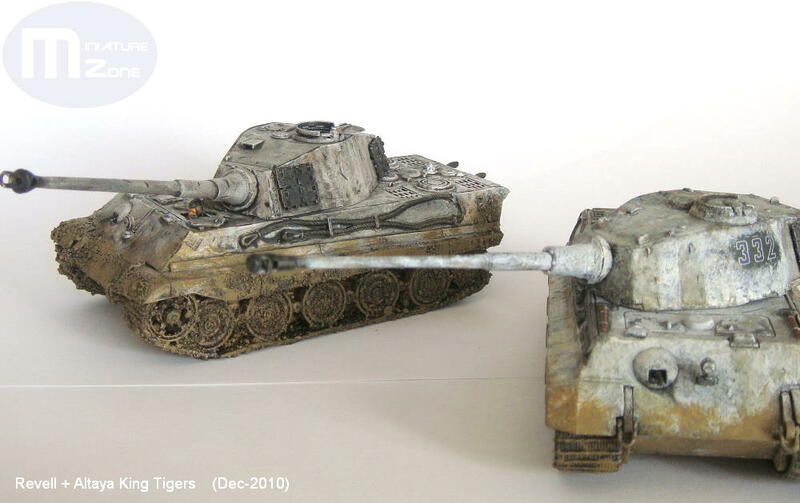 The one on the right is an old Hasegawa model and on the left a repainted Altaya die-cast model. 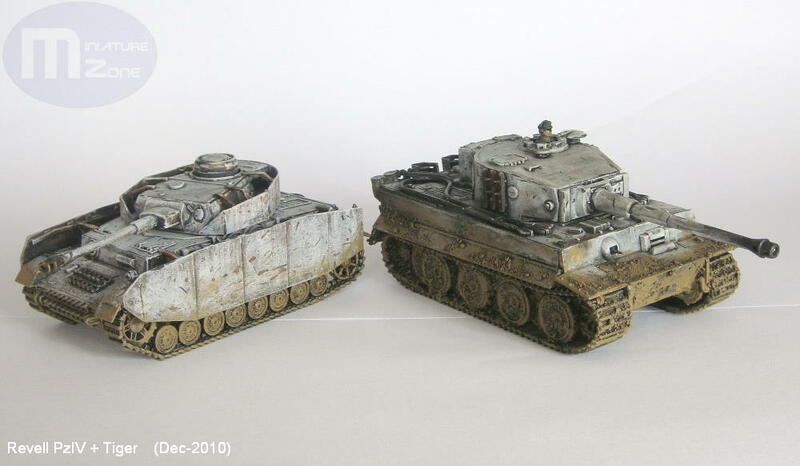 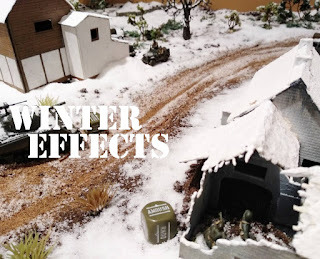 A Revell Panzer IV with sideskirts and a Revell Tiger both in Winter cammo.